I am for sure not the only one wishing Tetris a happy 25 year old birthday, but still, the game has deserved it. Its addicting, fun, and indeed: with no purpose in itself. Sounds familiar? Almost like everyday life, except the fun bit. It’s also a wonderful piece of living media archaeology, especially now in the midst of the boom concerning “casual games”. That’s of course what mobile entertainment was/is supposed to be, but also all those small, simple games that you can just pick up / log into, and end as casually as you started them. Like mobile games, they are meant to kill the couple of minutes between chores, the tube trip to work place, or back, or the time while waiting for your date who is late. Casual. Does not demand much attention, but enough to keep the game going. Addictive, but to a degree that it can be indeed left alone for a while. Part of the fragmented everyday routine, so that it can add an extra scale of fragmentation and hence act as a “training ground” for the crucial skills of contemporary work sphere: flexibity, readyness for changes, quickly shifting temporalities, etc. I would be actually tempted to exaggerate that Tetris was an early crucial phase of this training — not only the senso-motorial skills that it and a bunch of other early games imposed on the user; but also in terms of its place as part of the everyday media sphere. I think Friedrich Kittler referred somewhere to discos as the training ground for future wars (the ability to react to impulses, maneuver in spaces defined by quick paced sonic and visual rhythms, etc. ), but perhaps Tetris and other early games were the crucial training for our computerized post-Fordist sphere. That’s actually what I quite often find lacking in some of the even brilliant Italian and Italian inspired writers of post-Fordism: a meticulous and accurate analysis of the network and computer society that contributes and frames those themes that Virno, Lazzarato, Negri, Hardt, etc. are offering. I know Bifo gets closer to this topic, but I feel that on this front, there is a huge amount to be done. 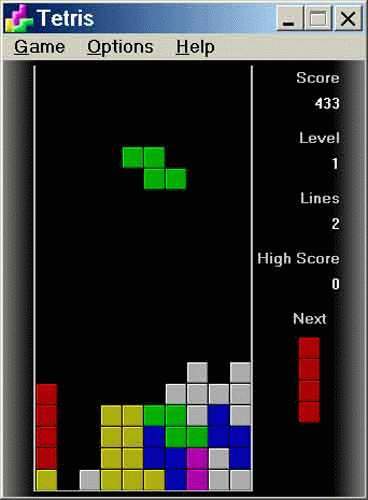 As a bonus, click here for 5 classic Tetris adverts! Hilarious stuff. See also the Guardian story on the topic. >….the shapes, they haunt me. I must fit them, turn, turn! ahhhhh! >Its never-ending, just like life in Control Societies would Deleuze say.. continuous training and improving…and the amount of similar nightmares I have had since the 1980s, lol! How many people see shrinks because of Tetris-related disorders? >Wasn't this actually an invention of the Soviet military system, so putting it in post-Fordist context might be in doubt. Emphasis on "might", since it's been so popular in here and new forms of the game come out all the time (my new cell phone has one, and my daughter, 10 yrs, plays it whenever she's bored – I couldn't care less, my distractions from words, not falling blocks). >Yes, The Soviet Union was adopting and copying American computer models as their own; this time the PDP-11 into "Elektronika 60" — and apparently a certain Alexey Pajitnov working at the Soviet Academy of Sciences designed this game. Although developed under the Soviet system, its not of course determined by that context of origin, and the sheer popularity of it demonstrates that it certainly hit a chore with the emerging digital culture of the 1980s…Apparently according to the Guardian story, the licensing of game now includes clauses that all games should use the theme tune…to quote: "Also in the rules is the demand that the game must include a version of the Tetris theme song – a folk number called Korobeiniki that has become almost as recognisable as the game itself, even reaching the dizzy heights of number six in the UK charts back in 1992, thanks to a Europop cover version masterminded by Andrew Lloyd Webber."